Did you guys have a good Thanksgiving? Ours was SO great! Everything we had was so stinking delicious and it was just a wonderful time with family. I’ve mentioned before that we are totally anti leftover. Like if something gets put in our fridge even if it’s crazy delicious we are SO bad at eating leftovers that it will probably go undiscovered for months in our fridge. Seriously our fridge is where leftovers go to die, except at Thanksgiving. Thanksgiving and St. Patrick’s day are the only times we actually succeed at eating leftovers. 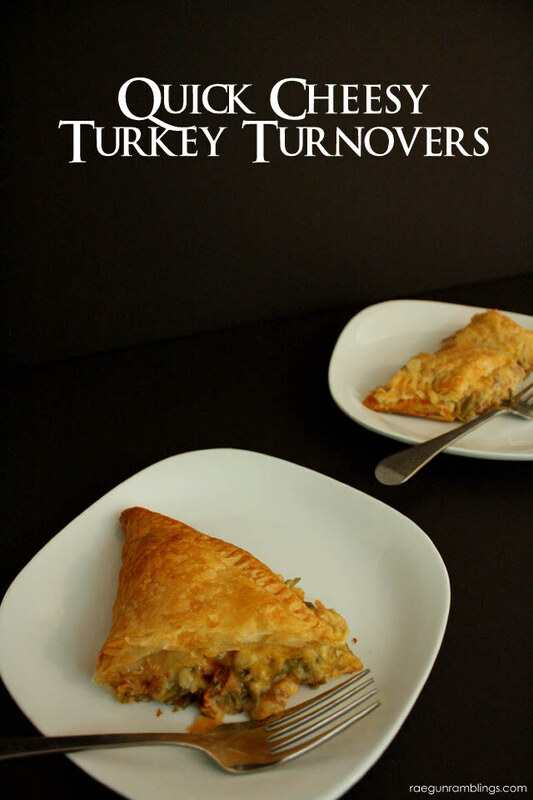 So today I’m sharing one of my favorite ways to remake Thanksgiving leftovers: the Leftover Thanksgiving Turnover. 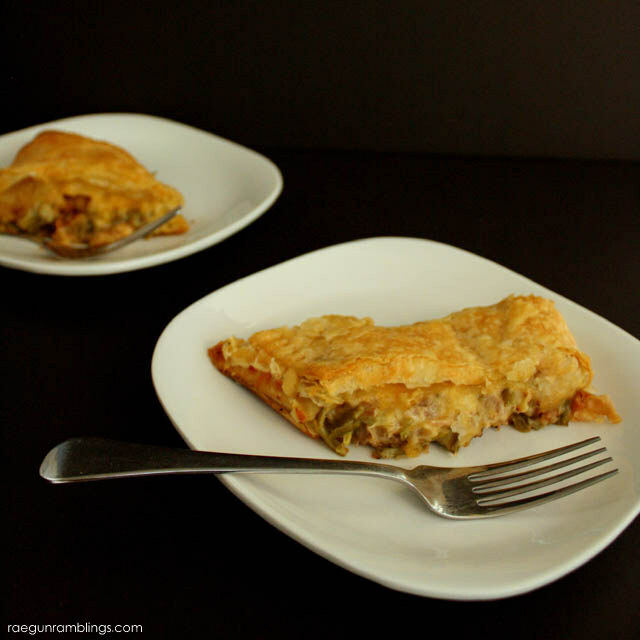 Basically it’s whatever you love thrown in a puff pastry and it’s super delicious and tastes like a whole new meal with the happy familiarness of Thanksgiving dinner. 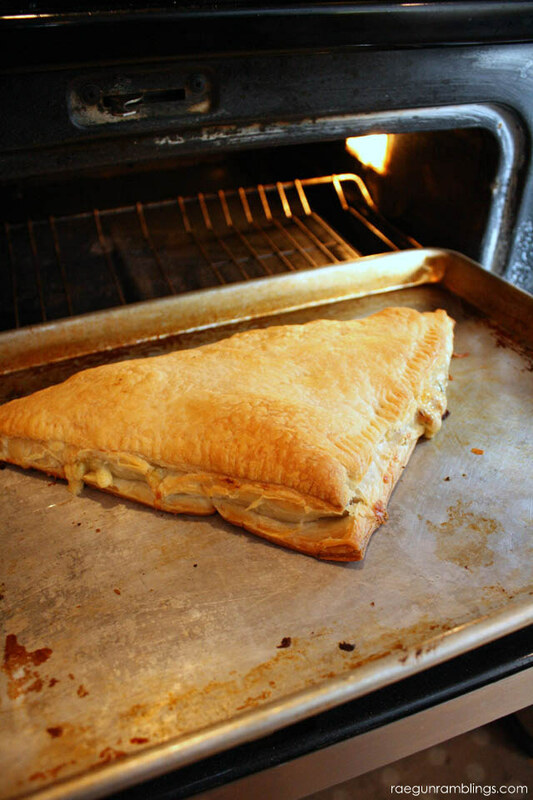 Lay the puff pastry on a cookie sheet. Mix all the Thanksgiving leftovers together and put on one half of the sheet of pastry. Cover with shredded cheese. Fold the other edge of the pastry over. Close the edge and seal with the tins of a fork. Prick a few times to vent. 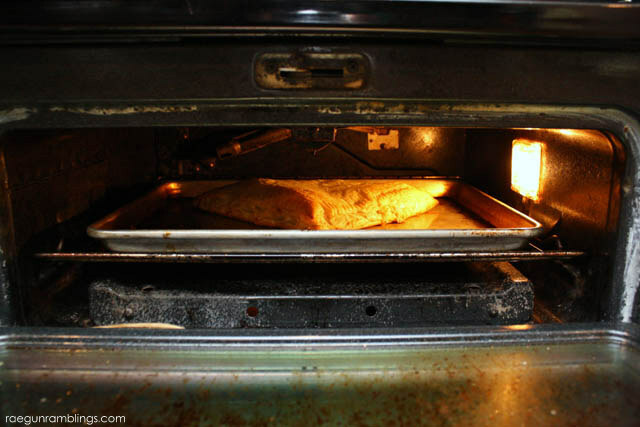 Bake at 400F until your pastry is golden brown. Super yummy and super easy. One recipe serves 2-3 hungry adults! 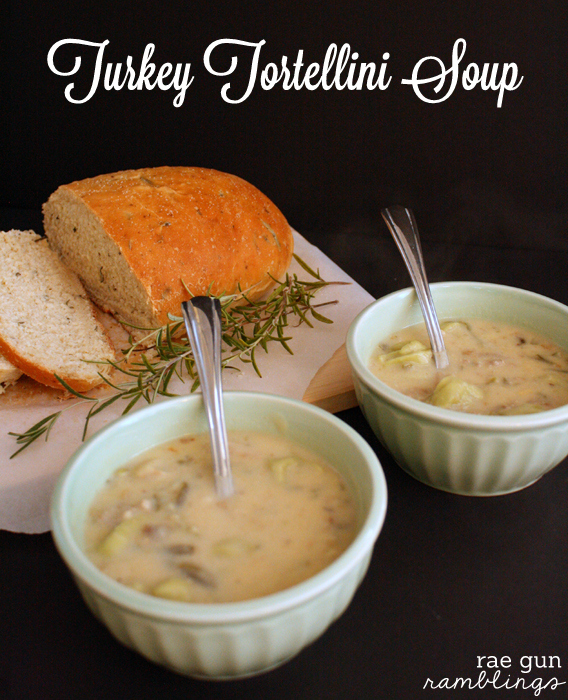 If you need other ideas for how to use up your turkey I also have this super yummy Turkey Tortellini Soup Recipe. 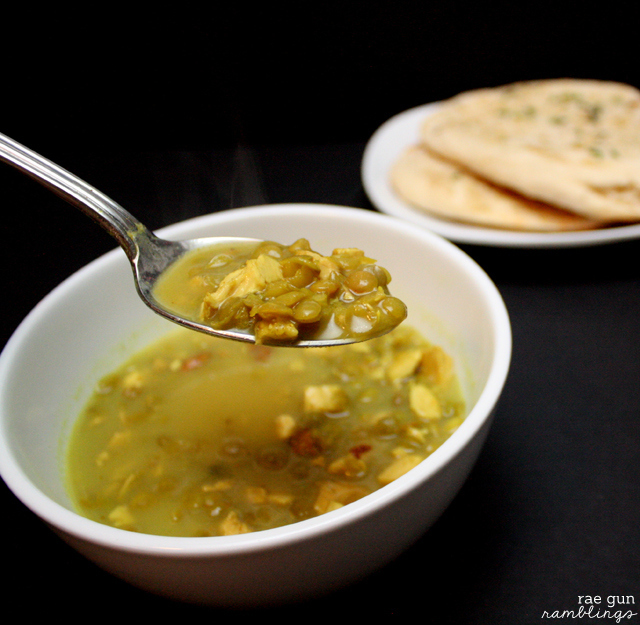 And this Indian inspired Curry Lentil Soup that I use with turkey or chicken whichever I have on hand when I feel like the soup. This sound so yummy! I can’t wait to try this out. Nice spin on what to do with turkey left overs. I thought I had all my favs figured out already. This is brilliant! This looks so yummy, I am pinning it for turkey day!! Yum! 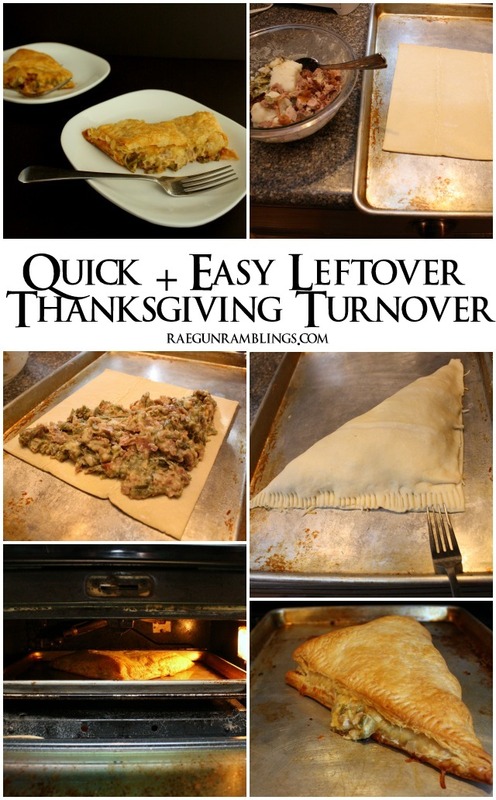 What a great idea for those leftovers! Thanks for sharing at Merry Monday, hope to see you again next week! Good Evening Marissa, I love recipes which help us to use up our left overs and your turkey turnover sounds wonderful. I often use sweet mince meat at Christmas time when I have left over pastry. I am looking forward to trying your recipe after Christmas.